I’m listening to VOG at 9420kHz, At 11:27 local time 08:27UTC, 11/06/2015 the station identified itself as “Ezo Athina, I Foni Dis Elladas”: “This Is Athens, The Voice Of Greece”. 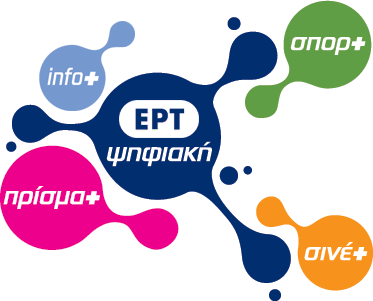 It would be of interest to the SWLing Post readers that, as of today June 11, the Greek public broadcaster ERT is back on the air with three TV channels and eight Radio programmes, including the “Voice of Greece”. 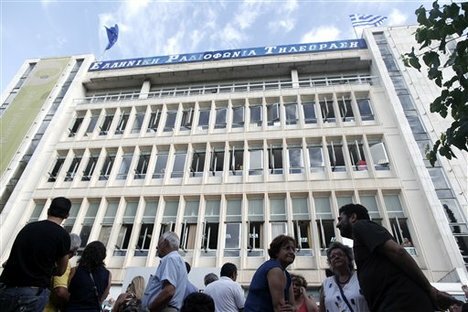 The web site http://www.ert.gr/ is also up with news and streams of all tv and radio channels. Right now at 10:45 UTC the Voice of Greece is on the air on 9420 kHz. Many thanks to both Moshe and Merkouris for this information! If you haven’t been following the story, in June 2013, Greek National TV & Radio (ERT) was shut down and so was the Voice of Greece (well…officially, at least). Only a few hours after VOG went off the air that night, they came back on the air with live protest coverage. In fact, since that night–exactly two years ago today–Greece has been broadcasting on shortwave intermittently as a relay of ERT Open and/or Elliniki Radiofonia. I hope that now VOG is officially back on the air, their shortwave broadcasts will be daily once again. Tonight, I will certainly be tuned to 9,420 kHz! Update: the BBC News has recently posted this excellent article with photos and videos on their website. This entry was posted in Broadcasters, International Broadcasting, Mediumwave, News, Shortwave Radio, What's On Shortwave and tagged Elliniki Radiofonia, ERT Cuts, ERT Open, Greece, Helliniki Radiophonia, Merkouris, Moshe, VOG Cuts, Voice of Greece, Voice of Greece Shortwave on June 11, 2015 by Thomas. “After the forceful eviction of the redundant ERT employees from the Radio House in Athens, the shortwave frequencies no longer transmit the normal program of Voice of Greece as there is no such service produced in Athens. This happened on the 7th of November, when you probably noticed the station ID change. Mediumwave and shortwave frequencies have been now set to relay the radio program of “Radio Station of Macedonia” by the redundant employees of ERT3, from Thessaloniki. (This used to be the independent program relayed for a few hours before midnight on 7,450 until June’s ERT switch-off, when phone lines were cut and the “guerilla” program started). They keep doing a full program during the day, but being unemployed, it seems that they cannot carry on overnight. Many thanks to TheGreekRadio.com for this informative explanation. Thus it looks like VOG’s shortwave service might be easily cut–and without warning. We already know that the Greek government is considering dismantling the Avlis transmitting site. This entry was posted in Broadcasters, Current Events, Mediumwave, News, Shortwave Radio, What's On Shortwave and tagged ERT 3, ERT Cuts, ERT3, Radio Station of Macedonia, Radio Station of Macedonia ERT 3, VOG, Voice of Greece, Voice of Greece Cuts on November 29, 2013 by Thomas. I’m not sure what the future holds for the Voice of Greece. In many ways, I feel that the national shortwave broadcaster is already operating on borrowed time–but perhaps I’m wrong. I’ve been recording VOG a lot lately on 9,420 kHz and 7,475 kHz; most broadcasts these days contain very little commentary, only hours of a wide variety of international music with the occasional station ID (which, by the way, has recently changed). I feel like they’re just working to keep their seats warm. If you’re celebrating Thanksgiving–and/or, are just relaxing over the weekend–I hope you’ll enjoy a bit of this Voice of Greece recording. I say “a bit,” as it is nearly five hours long. I started this recording around 20:30 UTC on November 26th, 2013 (9,420 kHz). No matter where you live, here’s wishing you a Happy Thanksgiving! This entry was posted in Broadcasters, Recordings, Shortwave Radio, What's On Shortwave and tagged ERT Cuts, Podcast, Recordings, VOG, Voice of Greece on November 28, 2013 by Thomas.